Following the war with Mexico, the southern wagon road between San Diego and Yuma became an object of important military concern: protecting the border and assisting immigrants coming to California. Some of those who arrived at that time decided to settle in San Diego County, raise cattle and take advantage of the mountain streams that favored the small valleys found from the western edge of present day Imperial County line to the community of San Diego and extending south from mountain ranges to the Mexican border. 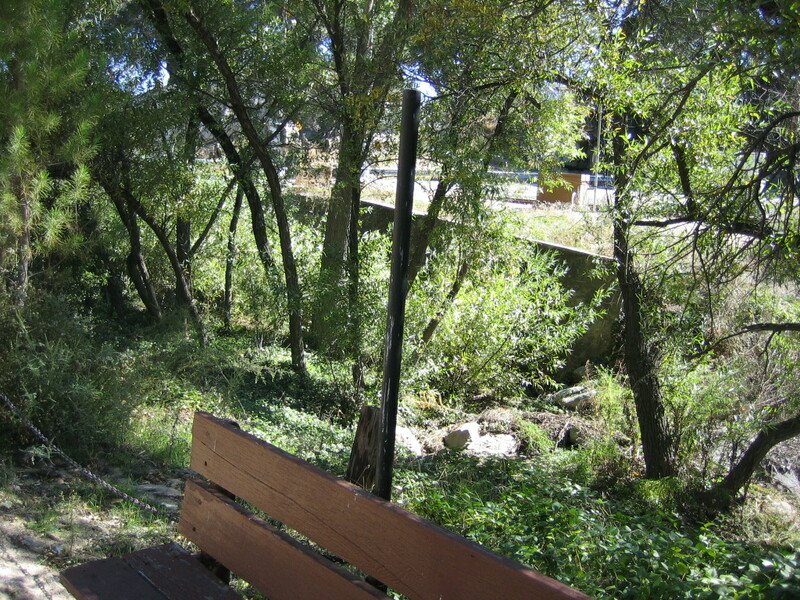 The valley that became Campo had a good stream running through it and ample forage. 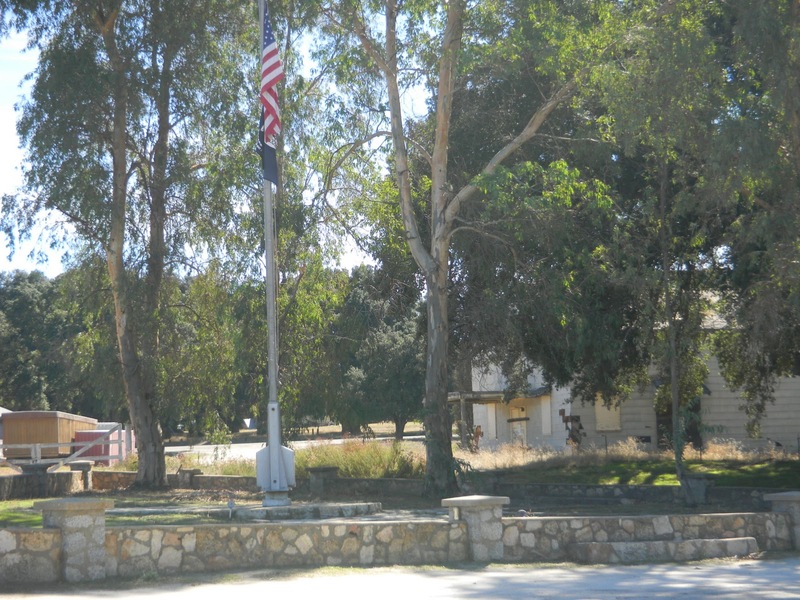 It’s where you would have found immigrants and small army units camped and recruiting their animals in the years following the annexation of California. 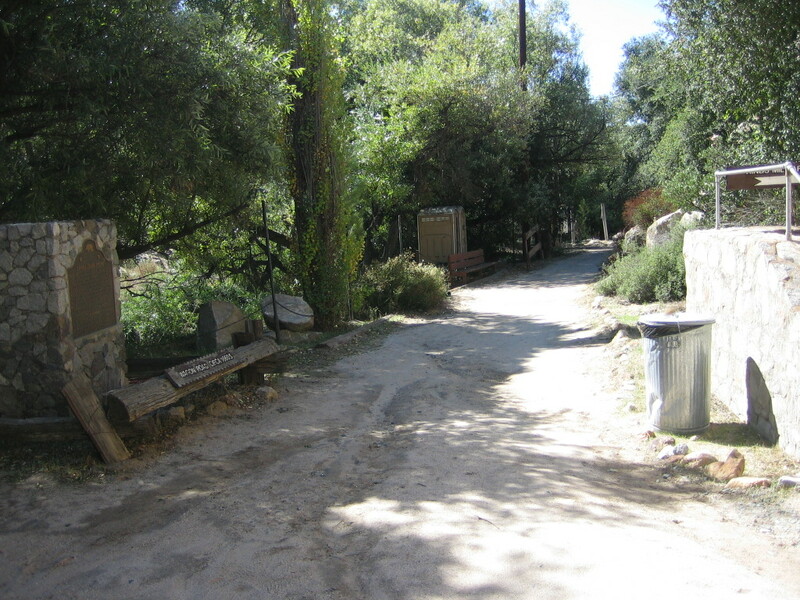 Small settlements, such as Campo, suffered from raiding parties that came from Mexico: desperadoes, Indians and other shiftless unfortunates crossing the border to rustle cattle and horses which they sold both in Mexico and in the northern mining camps of California. Pitched battles between the invaders on one side and the army and ranchers on the other were not uncommon. 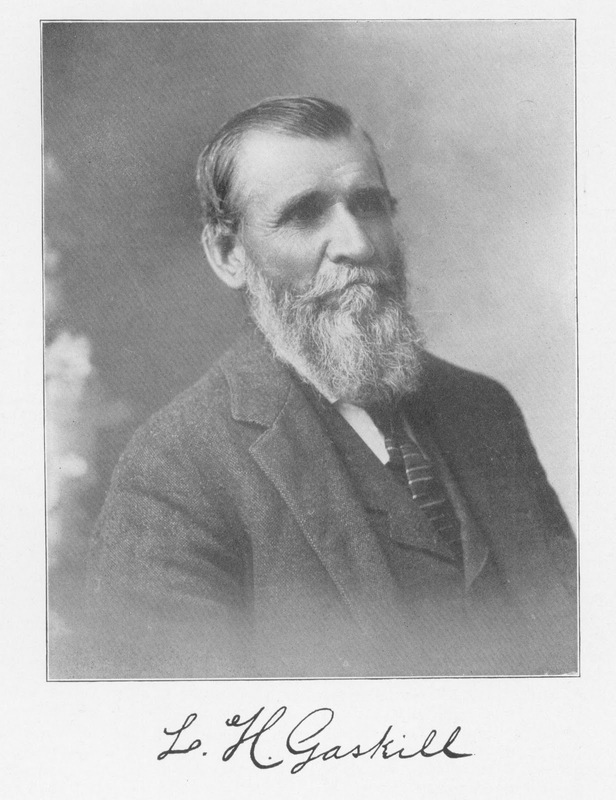 Looman H. Gaskill came west in 1855 by way of Panama. He did some mining in the north and some farming around San Bernardino before arriving with his brother, Silas, in the Campo Valley. They raised cattle and built a store and blacksmith shop next to a stream. The name Gaskill became famous throughout the border country because of a gun battle that took place in Campo in 1875 between the brothers and a band of Mexican desperados led by Cruz Lopez who was wanted for crimes in both the U.S. and Mexico. Some accounts say there were nine desperados, some accounts say there were five and some don’t say. I believe there were only five which made it a fair fight. It started when the group rode up to the Gaskill store with intent to kill the brothers, rustle their cattle and steal their merchandise. After tethering their horses to a tree, Lopez entered the store and shot Looman in the chest. Though seriously wounded, Looman crawled to his shotgun and returned fire wounding one of the men who had entered the store with Lopez. Silas, working in the blacksmith shop, heard the shots, grabbed his shotgun, came around to the front of the store and exchanged fire hitting one of the three Mexicans that had not entered the store. In that exchange, Silas was hit in the upper arm. Lopez and a French sheepherder -- who happened to be on his way to the store when the fighting broke out -- exchanged fire and both of them were wounded. This incident deserved a strong message to those living south of the border. A few seasoned ranchers, who had fought Indians and Mexicans on the plains of western Texas, took it upon themselves to serve up some Texas justice. 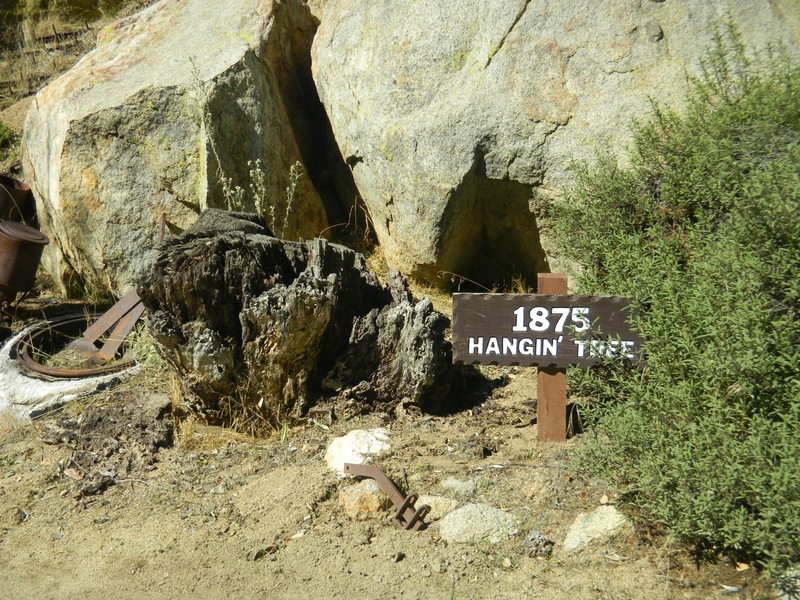 When the citizens of Campo Valley awoke the morning after the fight, they found the two prisoners hanging from a branch of a Live Oak tree: a tree that became a symbol of local resolve for years to come. 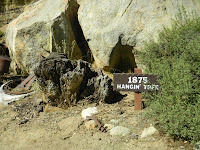 Later that morning, two freshly dug graves appeared near the entrance to the store conspicuously marked as a warning. When the sheriff arrived no one could explain to him what had happened to his prisoners. Sometime the following year, an Indian brought a message to Campo that a large number of men planned to invade the valley and wipe out everyone as revenge for the hanging of their countrymen. A company of soldiers from San Diego supported by 20 armed Campo ranchers met at the Gaskill Store to prepare for a fight. In the weeks that followed, troops scouted along the border where they found a few parties of Mexicans and Indians who stayed on the Mexican side and refused to fight. A skirmish, however, did take place near Jacumba, a valley located east of Campo. It lasted until the invaders withdrew. Show of force by the army eventually ended the threat. Campo became a stop for stage coaches that ran between San Diego and the railroad station in El Centro. The automobile replaced the horse drawn stagecoach by 1910. The San Diego and Arizona Railroad that reached Campo in 1916 eventually connected San Diego with the Southern Pacific Railroad at El Centro. The U.S. Army continued to post small units near the Campo border crossing to help customs agents deal with rustlers driving cattle south and illegal immigrants coming north. The Chinese Exclusion Act of 1882 was intended to prohibit Asians from entering the country. The Act prompted some enterprising Mexicans tprovide escorting service to those who could pay. From the port-of-entry at Mazatlan, customers were taken by stagecoach to secret boarder crossings. This venture became known as the “Chinese Runway”. Extra troops took station at Campo in 1911 to enforce U.S. neutrality during the Madero Revolution in Mexico. All border crossings were closed for the six month duration of the revolt. Again in 1918, a large number of troops of the 11th Cavalry arrived. In response, no doubt, to rumors that messages encouraging Mexico to declare war on the United States were being sent from Germany. 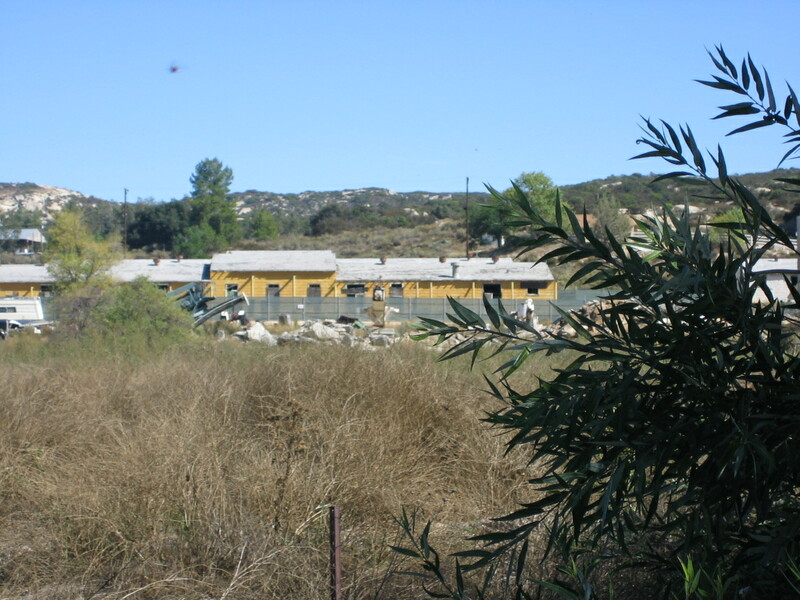 The soldiers named their camp El Campo. The threat of World War II prompted Washington to plan for all out protection of the borders. The California sector called for construction of a permanent army base to be occupied by mounted cavalry units. Campo was selected for the main base and named Camp Lockett. It occupied over 8,000 acres extending five miles east and west and three miles north and south. The entire settlement of Campo came within the camp boundary. The first phase of construction provided barracks for 1500 men and corrals for an equal number of horses. Later the number of mounted troops increased to over 2500. The 11th Cavalry arrived shortly after the Japanese attack on Pearl Harbor. The units, comprised of black enlisted men, had a history of service that included Indian wars across the western territories and the Philippine uprising – they were known as Buffalo Soldiers and proudly wore the Buffalo shoulder patch. During the first six months of World War II, mounted patrols guarded dams, bridges and railroad tunnels in addition to the border. Their orders were to stop anyone attempting to cross into the Untied States from Mexico, and to detain them for investigators. No serious crossing incidents took place during their service at Camp Lockett. As the threat of an attack from Mexico declined, Lockett took on the aspect of a training camp for new recruits assigned to mounted cavalry duty. Most of these young, black men came from large eastern cities and knew nothing about horses. They started their training by catching and saddling a horse that would then become their assigned mount. Sgt. Joe Lewis, the world’s heavy weight boxing champion, was stationed at Camp Lockett for a period of six months. Though not officially attached to a cavalry unit, he wore their uniform complete with the buffalo patch. By February, 1944, all mounted cavalry brigades had been transferred to mechanized units to serve in the European Theater for the remaining years of the war. Those stationed at Camp Lockett at that time, witnessed the end of the United States horse cavalry – a history that began at Carpenter’s Hall Philadelphia on November 17, 1774. After training ended, the grounds were converted to a veteran’s convalescent hospital. Italian prisoners of war moved into the barracks and assisted hospital staff as needed. The base closed in June, 1946. 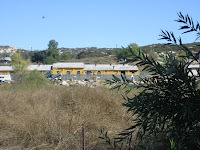 Campo is located on Google Earth at 32, 36.545; 116, 28.470 (Gaskill’s store) about 60 miles east of San Diego on SR 94. The military base is bounded by SR 94 on the north, Forest Gate Rd on the west and south and Shannon Rd on the east. The site is owned by Camp Lockett Cultural Landscape Historic District and is open to the public. In addition to exercise and parade areas, the camp included barracks, officers’ quarters, mess halls, quartermaster buildings, stables, blacksmith shop, hay sheds, recreation buildings, motor pool and a chapel. 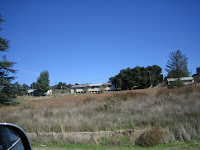 Some of the buildings are currently in use. Both Customs and Border Patrol units are presently posted on the base. 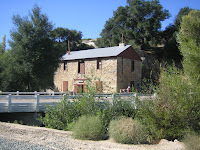 The historic Gaskill store and railroad station are both usually open on weekends. 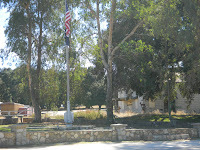 Visitors are welcome to drive or walk around the base.